Medical staff in a children’s hospital in Aleppo. Photo: IDA. An unprecedented scenario in modern human history is currently taking place in Syria: hospitals, health facilities and medical staff are being targeted and destroyed. Continued military offensives from government forces, with the support of Russian airstrikes, are leaving the health system of some areas such as Homs, and Aleppo at its lowest level. In the past weeks, the only lasting hospital in Eastern Aleppo City was bombed. It is not the first time that this hospital has been attacked; it has been a target on several other occasions, and the remaining heroic medical staff has been able to rebuild it time after time. 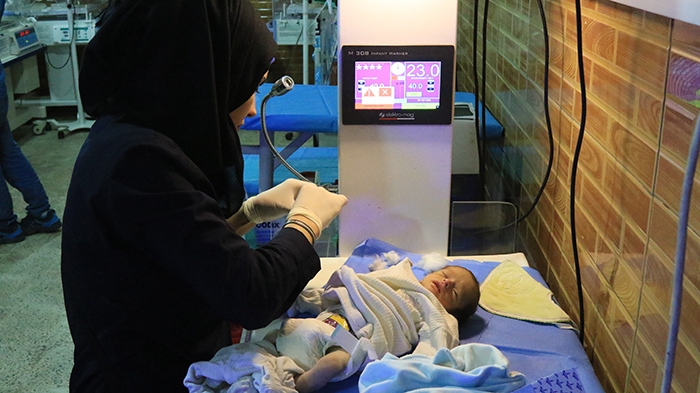 However, given the scarcity of their supplies and the extremely dangerous situation of working in a hospital in Aleppo, the hospital had to be closed down. Targeting a hospital is a war crime. To this situation, we cannot remain impassive. We must unite our voices to create impact and to push the international community to take action on this matter. But we, individually, can do much more. People’s Convoy campaign. Photo: IDA. 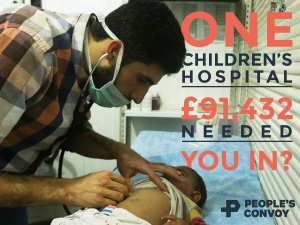 On 17 December a People’s Convoy is planned to be sent to Aleppo from the UK with all the equipment and sanitarian materials that doctors and nurses need to continue saving children, women and men’s lives (a similar one is being organised from France). The goal is to raise £91,432, which constitutes the amount of money needed to reconstruct and to equip a children’s hospital in Aleppo. The money will go to supporting the Independent Doctors Association (IDA) in charge of this project. This initiative, under the name The Syria Campaign/Voices Project, was organised by a number of organisations and supporting partners – WILPF among them – across the globe to send the message that: WE THE PEOPLE OF THE WORLD STAND WITH SYRIA’S LIFESAVERS. We have just three days left. 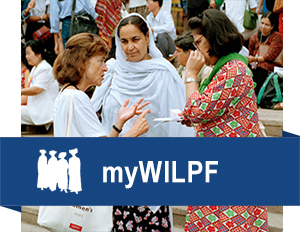 Read WILPF’s statement ‘Aleppo is bidding humanity goodbye’. Madeleine Rees, WILPF Secretary General.